October 19, 2015 October 19, 2015 | LizT. One night they finally relented and allowed me to read one chapter. Just one chapter. Which they fell asleep to. The next night they let me read another chapter and again…they fell asleep. I was starting to despair. What if they didn’t like it? What if Chapter 2 was as far as we’d ever get? What if they’d never know the magic and wonders waiting for them at Hogwarts School of Witchcraft and Wizardry??? But see, one of the great joys of nerdom is sharing favorite fandoms with the next generation. It’s the closest we can get to reading a favorite book or watching a favorite movie all over again, with fresh eyes. The kids had adored Back to the Future, were properly obsessed with all things Star Wars. 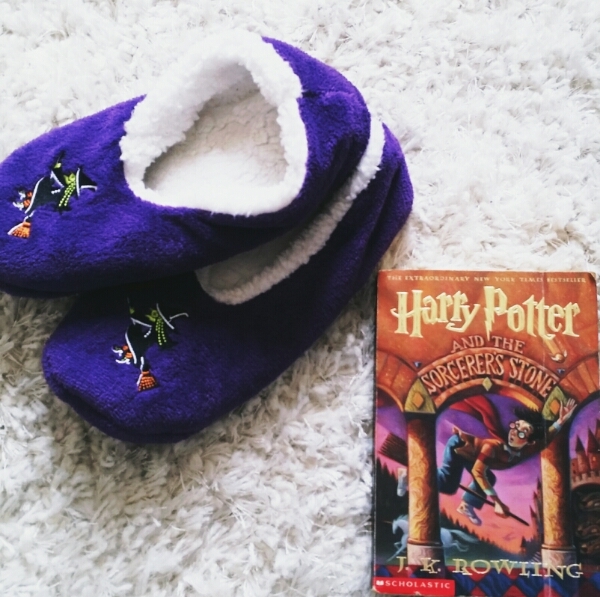 But at 9 years old, they were the perfect age for Harry’s adventures! 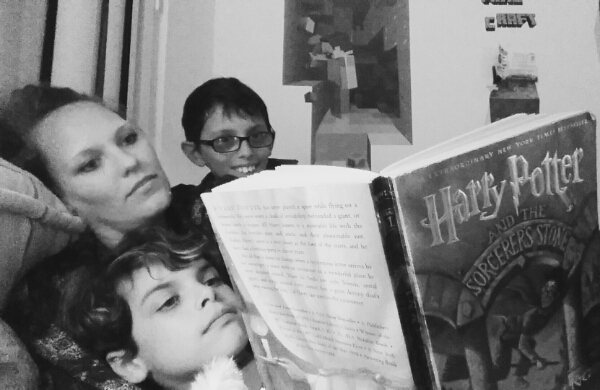 I didn’t want to miss this chance to introduce them to J.K.Rowling’s masterpiece. But I repeat… they weren’t having any of it. Until one morning…right around chapter 5… I came downstairs, as usual. I grabbed my big cup of tea, asked the kids how they slept and what they wanted for breakfast, when D said these musical, magical, new favorite words…. I almost dropped my teacup out of pure shock and joy. I’m pretty sure my body did an involuntary, celebratory jig. Best…words…ever spoken by a 9 year old boy to me!! Life is good. The torch is passed and I’m a happy little nerd!! Aww this is so awesome! My son has asked my about the Harry Potter books on my desk and I told him one day he’ll be old enough and I’ll read them to him (that one day is a long way away give that he’s almost 4, but oh well haha).